Peel the ripe Mangoes. Remove the seeds. Cut the mangoes into cubes. Puree the mango cubes. Add sugar and leave for an hour or till the sugar dissolves completely. Add lemon juice. Cook in a non-aluminium heavy bottomed vessel on a low flame. Keep stirring the jam continuously to avoid sticking to the bottom of the vessel. The jam should reduce to about half of the original volume and it should be gel like in consistency. To check for doneness, use the "parting the sea" technique. Take a spoonful of jam and spread it on a plate. Refrigerate the plate for 1 minute. Run your finger in the middle of the jam. If it remains open and does not flow back together, it is done. Turn off the gas. In the meantime, sterilise the bottles. Place the washed and dried bottles with the lids in the oven. Set the temperature to 100 degrees and set the timer to 10 minutes. Remove the bottles and their lids from the oven. Fill the jam in the sterilised bottles while the jam is hot. 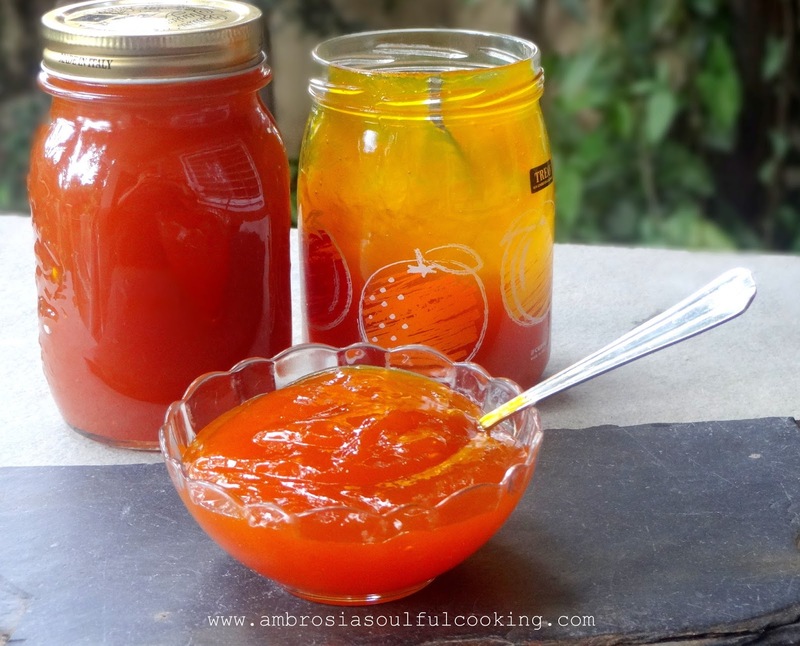 Mango jam has a beautiful golden colour. It is definitely the tastiest of all the jams. Apt for the mango season again! 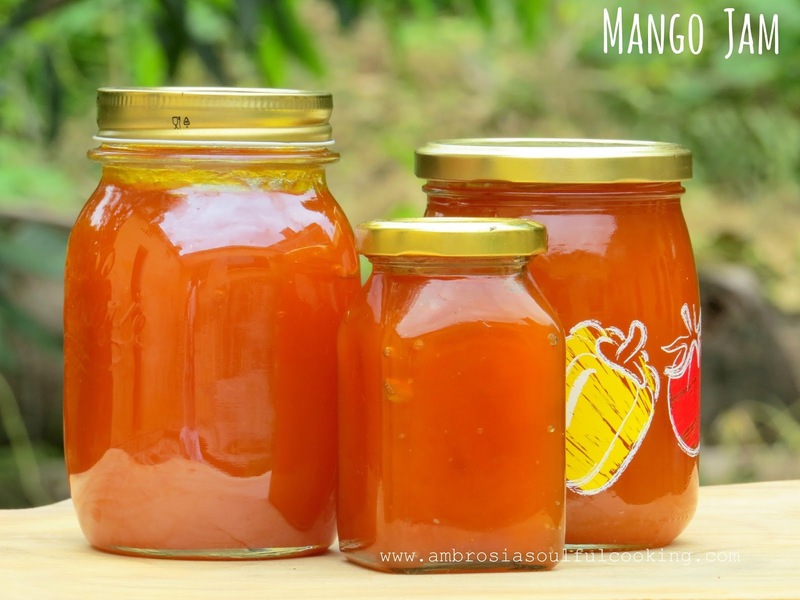 Which variety of mango did you use? I love the sheen on your finished jam and the cute label on your bottle! It took me 45-50 minutes to reduce to half the amount.Tastes is yummy, not too sweet.I msure my family will love it. Thanks for your recipe! !